People sometimes discuss events relating to the annexation of Hawai`i by the United States without considering the historical context of those events in relation to American history – as if the United States existed long before the Kingdom of Hawai`i. 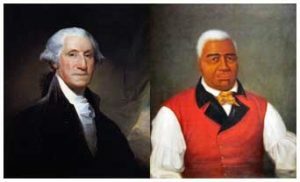 King Kamehameha I, the unifying monarch of the Hawaiian Islands, was a political contemporary of George Washington, the first president of the United States. These great warriors became rulers one year apart. George Washington was born in 1732 in Virginia. Kamehameha was born on the Island of Hawai`i — his birth date is reported by various sources in various years, around 1750. The population of the Archipelago of Hawai`i is estimated to have numbered as many as one million people in 1778. In 1790, the population of the original 13 states was about 3.8 million people. In 1787, the U.S. Constitution was adopted at a convention of the States. Washington became the first President of the original thirteen colonies that comprised the United States in 1789. Kamehameha became King of the Island of Hawai`i in 1790. On December 14, 1799, at the age of 67, Washington died from an infection. In 1810, Kamehameha became the first King to rule all the Hawaiian islands. At that time the 17 United States consisted of the original 13 colony-states plus Vermont, Kentucky, Tennessee and Ohio. During the first half of the 19th century, the United States expanded primarily in the Midwest and the South — Ohio (admitted in 1803), Indiana (1816), and Illinois (1818) were ceded to the United States by Great Britain, while Louisiana (1812), Mississippi (1817), and Alabama (1819) were obtained from France. 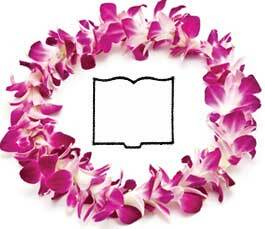 In 1820, the first American missionaries arrived in Hawai`i to spread Christianity. The mid-19th Century was a dynamic time in American history, due to the Civil War and its impacts, as well as a time of change in Hawai`i. In two generations from the establishment of a written language, Hawai`i had the highest literacy rate of any country in the world. In 1840 the first Constitution was enacted by Kauikeauoli, Kamehameha III. In 1843 a British officer seized Hawai`i for Great Britain; 5 months later the Kingdom was restored. In 1843 Great Britain and France also recognized Hawai`i’s independence. In 1848, Kamehameha III proclaimed the Great Mahele, changing the concept of land tenure in Hawai`i. The 30th American State, Wisconsin, was admitted to the Union in 1848. In 1854 Kauikeaouli died; he was succeeded by Alexander Liholiho, Kamehameha IV. 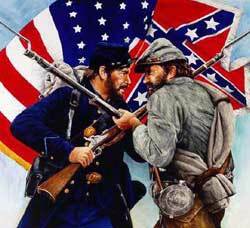 In 1861 the Constitution of the Confederate States was promulgated. In 1863 Liholiho died and Lot Kapuaiwa, Kamehameha V, became Mo`i. In 1864 a new Constitution was decreed by Kamehameha V.
On August 20, 1866, U.S. President Andrew Johnson declared the official end of the American Civil War. The 37th American State, Nebraska, was admitted to the Union in 1867. After the Civil War, America again turned its attention westward, annexing most of the Great Plains and Rocky Mountain states. By the late 19th Century, American was establishing its post-Civil War presence in the world, ending the period of reconstruction of its previous domestic union. In 1873-74 William Lunalilo was elected King; he then died and David Kalakaua was elected King. Within one hundred years from the time of first contact with Western explorers in 1778, the population of Kanaka Maoli was reduced to less than 40,000. King Kalakaua was forced to sign the “Bayonet Constitution” in 1887, sharply limiting his powers and diminishing Native Hawaiians’ voice in government. The 39th American state, North Dakota, was admitted to the Union in 1889. In 1891 King Kalakaua died in San Francisco and Lydia Kamaka`eha became Queen Lili`uokalani. The 45th American State, Utah, was admitted to the Union in 1896. In 1898, the United States annexed Hawai’i. Five states were admitted to the Union in the twentieth century: Oklahoma in, 1907; New Mexico and Arizona in 1912; and finally Alaska and Hawai`i in 1959.